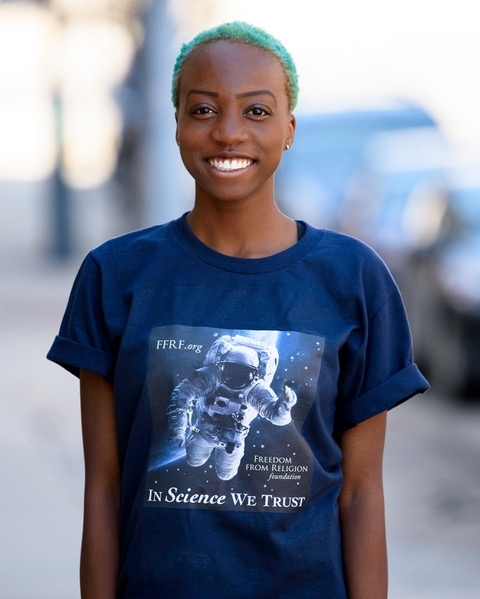 Full color FFRF astronaut design on navy t-shirt. USA made, sweatshop free. Unisex sizing.